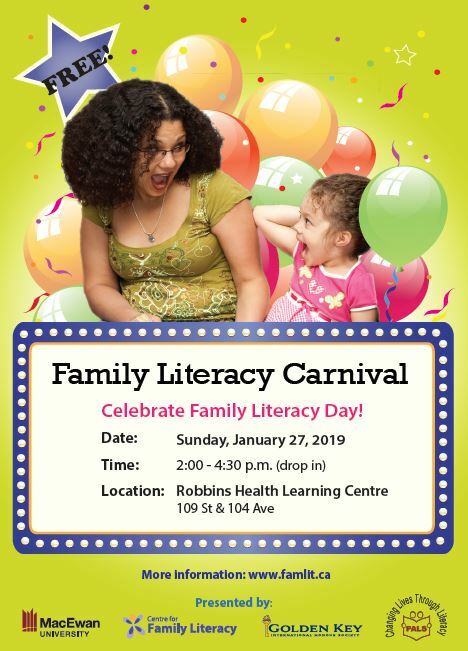 Come celebrate Family Literacy Day at the Family Literacy Carnival on Sunday, January 27, from 2 to 4:30 pm at the MacEwan University City Centre Campus, Heart of the Robbins on 104 Avenue and 109 Street! There will be many free, interactive activities for the whole family, including storytelling and free books! Admission is free.